The Hippodrome’s Easter blockbuster show Pirates Live! returns on the 6th April, with a brand new production for 2019. This all action pirate water show has been called “phenomenal” by the Eastern Daily Press and for good reason, this immense production brings together a motley crew of pirates, acrobats, aerialists and hilarious comedy in an experience like no other. Jack Jay, who plays Captain Jack Hawkseye said "This show is always very interactive, but this year will be like no other. 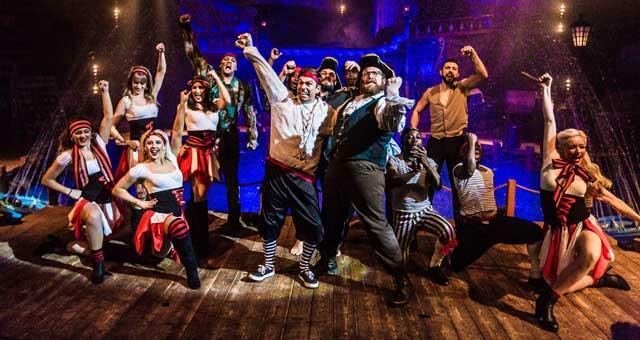 The audience is truly going to become part of our pirate crew and even take part in some swashbuckling missions alongside us"
This all new version of the smash hit show is set to break all records, with advance bookings at an all-time high. If you or the kids feel like dressing as a Pirate, do it, it will make a great family photo or selfie at the end of the show when everyone has a chance to meet Jack Jay and Johnny Mac! It's an experience like no other, so don't miss your chance to see the sensational Pirates Live!